You can help Miami Valley's Transient Veterans. Kettering Rotary members Bob Lamb and Mel Haines have take the initiative for our club to help Miami Valley's Transient Veterans in partnership with The Dayton VA Center, Volunteers of America and Thrivent Financial - Live Generously. We are asking you to clean out your closets and bring mens clothing and shoes to our meetings by November 1st. 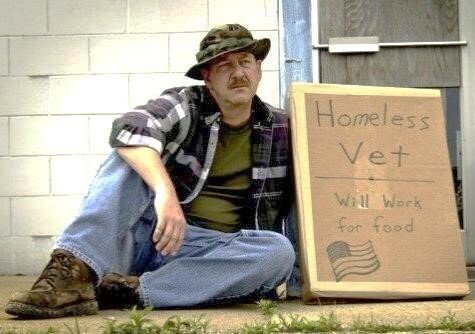 The clothing should be washed and folded and ready to wear by needy homeless veterans. In addition you may also consider donating new socks and underwear to the project as well. Please download the brochure and the donation form here for more information. Thank you to our generous Rotary family for truly helping Veterans in need. We will also be participating in the annual Christmas Dinner to honor over 200 local transient Veteran's at the Dayton VA Center. This event is in the 13th year of service by the Gary and Rose Mary Leasure Family of Kettering. We are happy to be a part of this wonderful service project.